I have always wanted to go to Palaui. I have been invited to or initiated three different trips every year since 2011, with one group, we even bought our plane tickets already, but decided to cancel since there was a typhoon in Cagayan exactly on the dates of our trip. Finally, last 2014 (yes, this is a super late post! ), we made this happen!A friend and I were talking a couple of months ago on how it would be nice if we went to Palaui, and some time in November, my friend called me again, “Oi, tuloy na natin Palaui natin, holiday next week oh” and the rest is history. I am proud to say, this is yet another one of those biglaang lakad. We thought about going to Cagayan Valley only a couple of days before our November holiday. I was with a group who were good with the ‘come what may’ plan, but it was clear that everyone wanted to see Palaui Island. Even my one-day solo expedition to Isabela, I only looked up things to see the night before I went there. 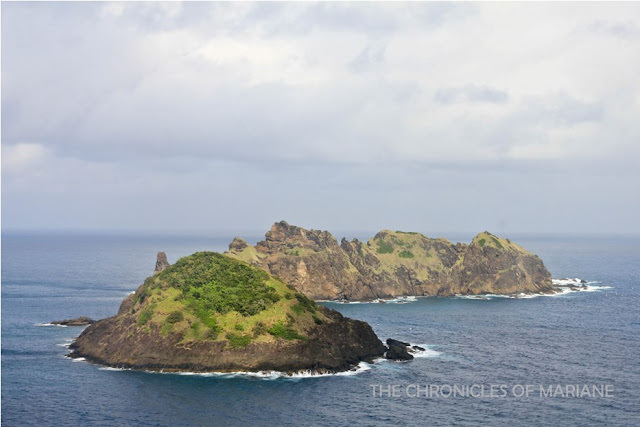 We only tried to see places around eastern part of the province since we didn’t really have any itinerary at all, and we had limited time which we hoped to spend in Palaui Island. 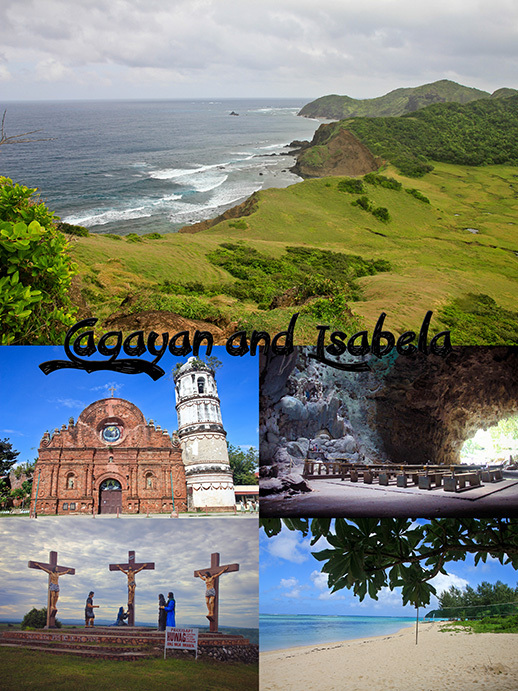 Cagayan is a very big province, still too much left to explore. Here's to praying I can go back to this side of the country, soon I hope. If you want to follow our trip, aside from going by car if you have one or willing to rent one, buses and planes are some options you can look at. In our case, we managed to catch the 7PM trip of Florida Bus (Cubao) to Tuguegarao. You can also start your trip from Isabela and bus hubs are located around Santiago and Cauayan. Flights arrive at Cauayan, Isabela and Tuguegarao, Cagayan. Even though there is actually a direct bus trip to Sta. Ana, it only has limited schedule which didn't fit with our work alignments. Unfortunately, I was not able to find decent cheap lodging selections for solo travelers who intend to stay in Tuguegarao. But if you are with a group, then there are nice deals at almost every corner of the city. As I mentioned, we didn’t really do much planning to begin with, so we entrusted our faith to our tricycle driver who fetched us from Florida Bus Terminal. His recommendation was Don Domingo Lodge, which was located nearby a market. We were five in the group and we opted for the Family Room with an extra bed, with the total only amounting to P1250 a night. 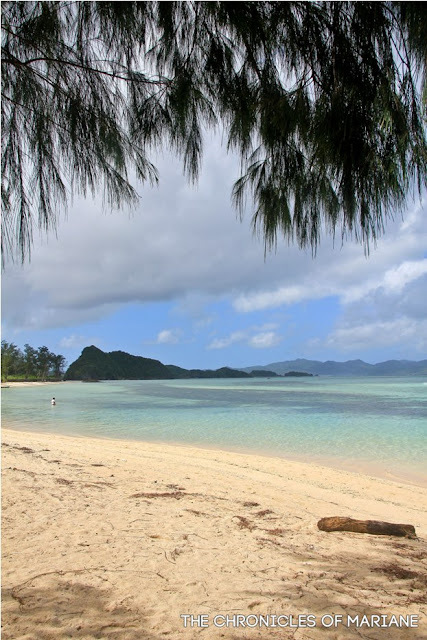 As for Palaui Island, there are no inns or hotels so be ready to rough it up and stay in a tent or stay with locals. We opted the latter. 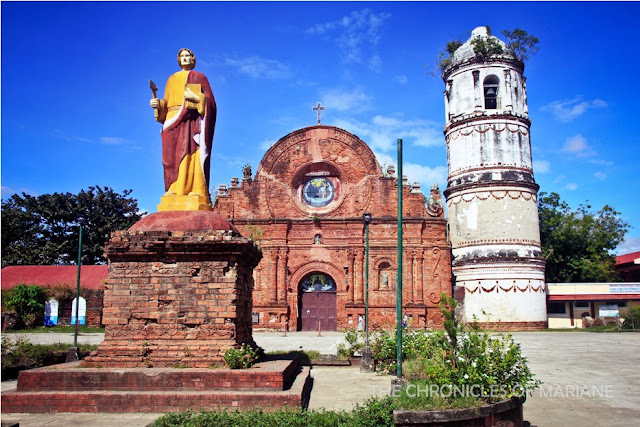 There are a number of families who let their homes open for travelers, but we chose to stay with Kap or Daddy as we call him, who served as the Barangay Captain at San Vicente. We did a nice move because they were a nice family and always ensured we had seafood goodness for our meals. Some would also opt to stay near Punta Verde, since this is where boats dock and it’s easier to meet up with your designated boat/tour guide especially if you opt to stay overnight. If you are planning to only have a day trip in the island, Sta. Ana has good inns and high-end resorts as well. Another thing that I am proud of is that we only managed to spend less than 5,300 pesos for the entire trip! That already includes bus fare to Cagayan and back. This is why I love traveling with a group sometimes, is because transportation costs, especially boat/van rentals get cheaper when you can divide it with lots of people. I am not sure how solo travelers can replicate this budget, but one tip I can give is just choose the round trip to Punta Verde then trek your way up to Cape Engano. And also, if you can book cheaper plane tickets, then that could cut your transpo expenses a little bit more. 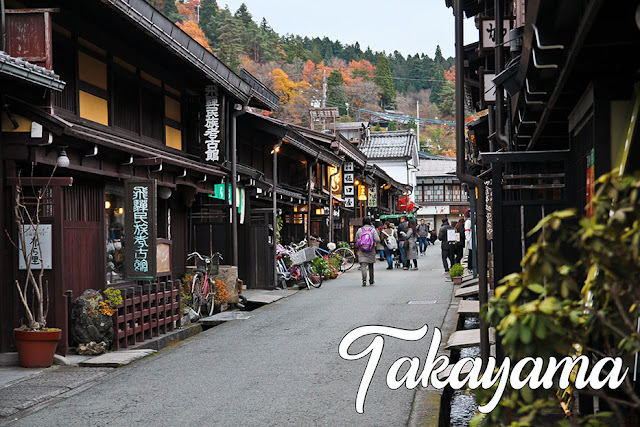 You can get a copy of our itinerary and budget for the trip on this link. Cagayan Valley offers a lot of interesting activities for the adventurers, one activity in particular that can be enjoyed is cave spelunking. However, we aimed for caves that can be enjoyed by people of different ages since we tried to keep the risky destinations to a minimum. Out of the many caves in the province, we were told that Callao Cave is safe for everyone to enter and no gears are required. 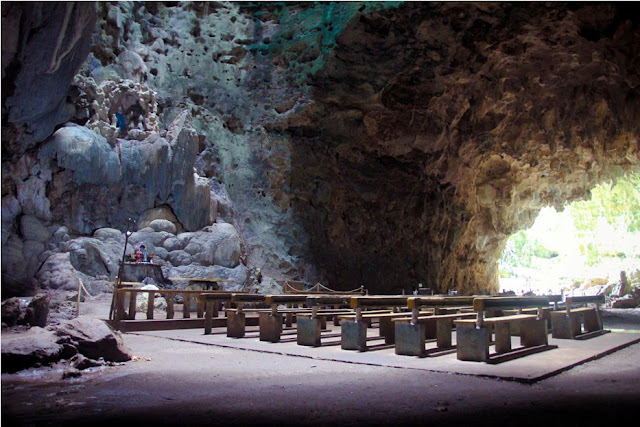 It is popularly known for having an altar inside the cave, a bit similar to Batu Caves of Malaysia. But once you explore it deeper, you will appreciate its interesting and unique rock formations. 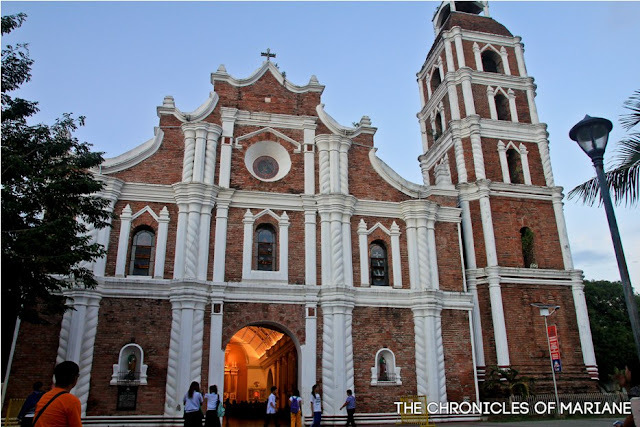 The province is also popular for its beautiful and historically relevant churches, almost every town has one. Memorable ones for me were Iguig Calvary Hill, Tuguegarao Cathedral, and Alcala Church. To replenish your energy from all the walking and FX transfers, bulk up with Cagayan's own version of pancit, the Pancit Batil Patung. We got our fix at Jomar's Panciteria and I admit that I’m a big eater but one serving of this was enough to make me full for the whole afternoon. Exploring Palaui Island was one of the main drivers for this trip, so we decided to allot two days for it. From Tuguegarao though, it’s still not an easy feat to reach the island. 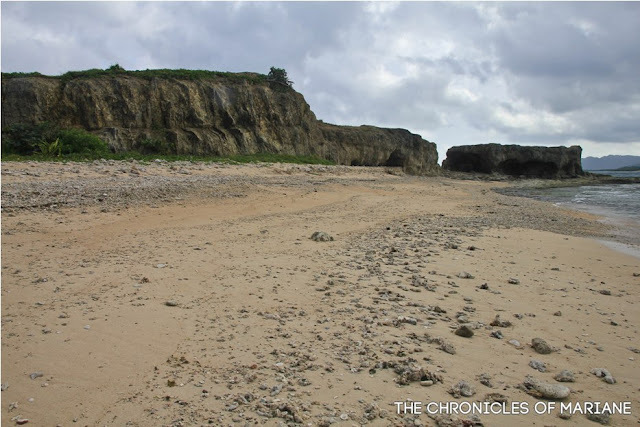 There’s still an FX, tricycle and a boat ride you need to take before you finally get to step on the warm sands of Palaui. If you are interested on side trips, there are also other fascinating sights you can see before heading to the island. We managed to see Anguib Beach (which is a private property) and Crocodile Island. Another well-known beach in the province, Nangaramoan Beach, can be added on your itinerary but with different tour rates based on the agreed fares by CEZA. For the rest of the day, we decided to just chill and enjoy the fresh air. There were some signs of rain come afternoon of our first day in the island so we decided to go to the famous lighthouse as soon as dawn breaks the next day. In the meantime, it was a night filled with stories and jokes with our lovely host and smorgasbord of fresh seafood for our enjoyment. We still didn’t have the perfect weather the following morning but we were given a go signal by our boatmen that it was ok to push through, we were reminded though that the ride might be rough, and surely it was. 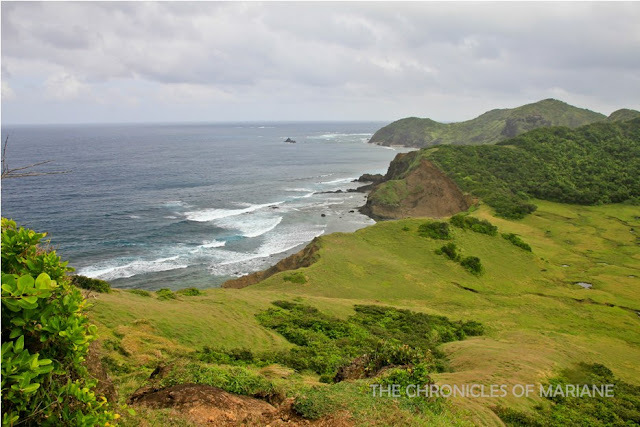 We realized it was all worth it when we finally arrived at the shores of Cape Engano. It was definitely a sight to behold. Green hills, romantic lighthouse, what more can you ask for. We had to cut our time short when rain started to fall, We were told that the waves can get more treacherous as we stay longer, so we listened to the locals’ advice of course. I ended up going to Isabela alone as my companions needed to leave for Manila already. I wanted to see what Isabela can offer but there were only limited information available online so I might have missed something spectacular. Anyhow, my Visita Iglesia or church visitation was quite enjoyable. Isabela has some impressive architecture, I especially liked Tumauini Church with its unique design. If you asked me if there was anything I regret about this trip though, that would be forgetting to eat Pancit Cabagan on a family restaurant. I was only able to order in a mall due to time restrictions so I am not able to say if the taste was indeed authentic or not, but it was definitely yummy and filling. All in all, even though there was very minimal planning done for this trip, I can say that it was a successful one. I used to be confused when people talk about Cagayan (the one in north or south), but now I can say I know more about the province and would be able to tell the difference (lol). For sure, I will be back to this place someday. I've never been to Palaui. I heard so many good things about it! Hopefully I can go after the rainy season.